So, today I finally got an opportunity to get some overdue work done on the Outback, namely tires and brakes. They had been worse for wear for a while now and it was just simply time. I had some recall work done a few months ago and was given an Impreza as a loaner, and I thought the car was simple and decent for what it was. This time we asked for another loaner for a few hours, and we received this decently optioned Legacy Sport. I was so impressed that I felt like it was fair to give it an Oppo review, so here goes. The Legacy isn’t really in a segment where good looks are key to make a car sell, just look at the Camry. However, what makes a car stand out from the rest in the segment is definitely the care went into the styling, and I think it’s an area where the Legacy definitely shines. The generation prior was decent, not too ugly, not too pretty, but this newest version is definitely handsome by definition. It’s kind of like a nicely done facelift to the 2010 model, where odd curves were chiseled to create nice firm lines, with that definitive Subaru flair to them. It’s no Mazda 6, but it’s a very solid second place when it comes to design in the mid-sized market. Subaru has always been one to be ridiculed by their overall quality in their cars, and while they’ve always seemed to make constant updates to them, they’ve never really been there, so to speak. However, this newest Legacy is definitely miles ahead of older models, including my Outback. Lots of soft touch material is laid throughout the cabin, fittings feel firm and well laid out, panel gaps are not too atrocious. There’s definitely some hard touch plastic here and there, but that’s segment standard, honestly. It does very well ergonomically, however, I didn’t find anything in the cabin too atrocious to my driving style or position, so I give it high regards in that matter. Coming to this car from my Outback didn’t really feel like a definite step up or down when it came to comfort and tech. Sure, it was outfitted with the standard bluetooth, USB, navigation, all through Subaru StarLink. But it also felt kind of cramped inside, and everything was very similarly laid out throughout the interior. It goes back to that facelift type thing I was talking about. It’s not bad though, because the layout and features are very well done, and everything is very easy to navigate and operate, so I can’t mark it down too much. This is one area that’s kinda flip-floppy for this thing. For one, it has the same 175 horsepower flat 4 that’s in my Outback. Now, in a medium machine such as this, it’s okay I guess, it’s not really starving of performance, but you can tell where a flat 6 might be better suited. It also is mated to the CVT, which is the best CVT on the market, but it’s still a CVT, so don’t expect some sort of fun 8-speed ZF or 6-speed manual. Handling is really nice, however, it’s very fluid and taut for what it is. 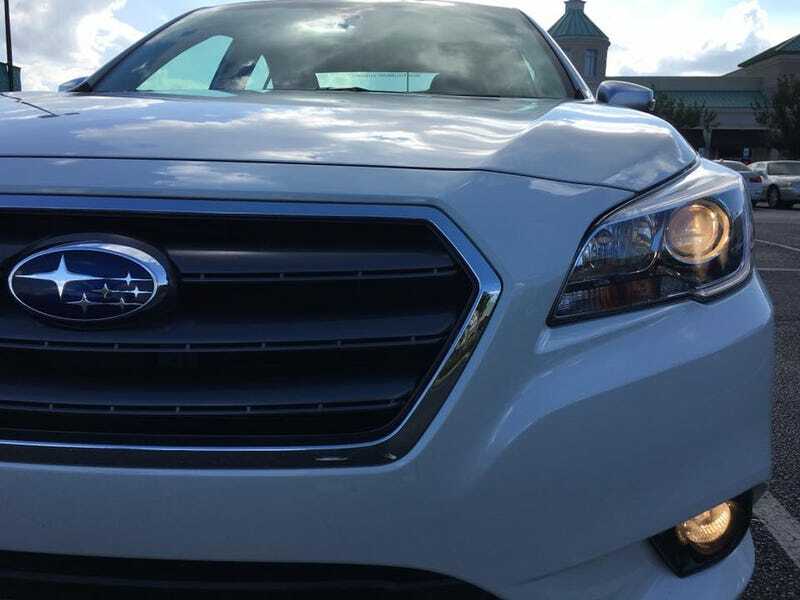 The 2.5 Sport starts at $25,995, and with that you get things like the StarLink connectivity service standard, plus Subaru’s phenomenal symmetrical AWD, with optional EyeSight and navi brings it to around just under $30k. I was expecting the car to start out nearer to $30k than it does, but I was surprised that such a car with these features was a little less than that. It definitely makes it one of the better bargains in the segment. I usually like to skip things from this segment, but I was very pleasantly surprised by the Legacy. It genuinely doesn’t feel mass produced, like a beige mobile for the average man like others in the segment do. With this spec here, it perfectly balances semi-sport sedan and competitive daily driver in an overall attractive package. It’s no Giulia, but then again I don’t think it’s really supposed to be. I’d definitely keep it on my list if I was ever in the market.